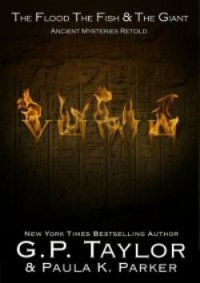 Nashville, TN – April 6, 2010 – YHWH: The Flood, The Fish and The Giant, the first volume of the highly anticipated Ancient Stories Retold series by American playwright, Paula K. Parker and New York Times Best-Selling British author, G.P. Taylor, is receiving rave reviews and critical acclaim from leading figures in the literary, film and religious communities on both sides of the Atlantic. Masterfully combining elements of love, deceit, betrayal, and ultimately redemption YHWH: The Flood, The Fish and The Giant, which releases this May in the United Kingdom followed by its U.S. release later in 2010, contains 20 adventurous stories set in ancient times that are resonating with critics and fans alike. Paula K. Parker is a well respected U.S. based journalist, author and entertainment writer with more than 1000 published article to her credit. She is best known for her original stage play, Bloodlines, and her hugely successful stage adaptation of Jane Austen’s Pride & Prejudice. New York Times best-selling writer, G.P.Taylor first topped the charts in the United Kingdom with his stunning supernatural thriller, Shadowmancer. The novel remained atop the UK charts for a record 15 weeks and has been translated into 43 languages. Universal Pictures acquired the film rights to Shadowmancer for a reported seven figure sum. Taylor’s popular works include Wormwood, Tersias, The Curse of Salamander Street, Mariah Mundi and The Dopple Ganger Chronicles.